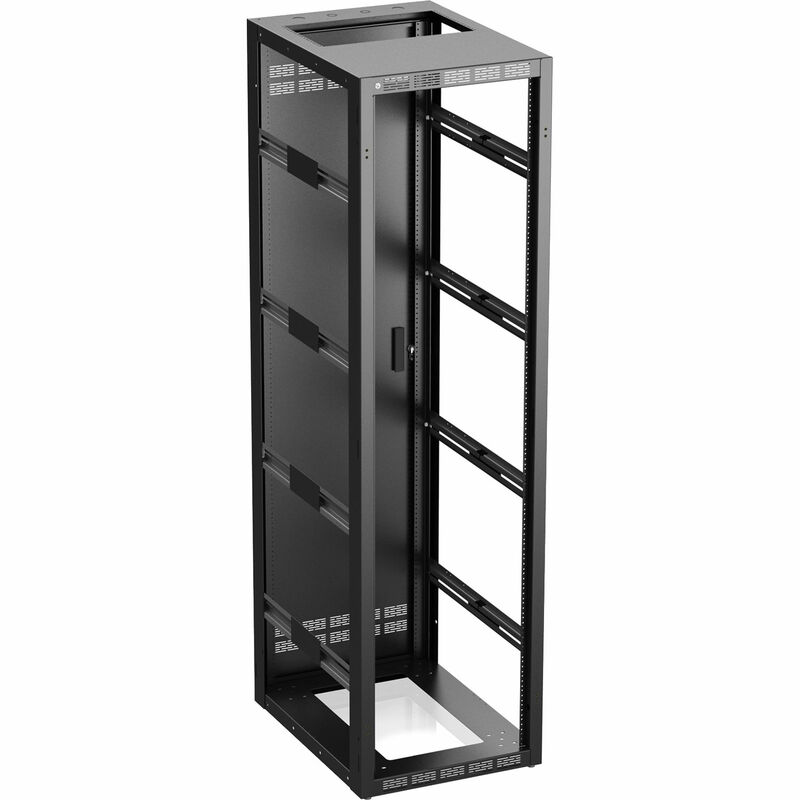 The Atlas Sound 500 Series 544-30 is a rackmount cabinet suitable for single and multi-bay applications. It provides accessibility for wiring in between sets of rack gear. As such, this 44 RU rack is frequently used to store IT, A/V, CCTV, security, and broadcast equipment. This particular unit is also 30.0" deep, with a usable depth of 28.0", allowing you to store gear a bit larger than the customary 23.5". The unit, fashioned out of 16-gauge cold-rolled steel, ships fully assembled. A rear door is included and can be mounted for left- or right-hand configurations.